DC UNIVERSE ONLINE brings high-energy action to the massively multiplayer online action gamer with a physics-powered combat system designed to deliver a fast-paced action experience that puts the extraordinary powers of DC Super Heroes and Super-Villains in the palm of your hands. 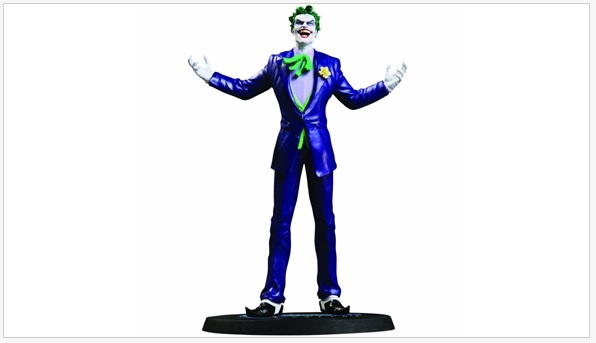 The Joker is amazingly designed by Jim Lee and sculpted by DC Collectibles. This month's Happy Meal US is featuring the most loveable and most funny sponge in Bikini Bottom, whoelse but SpongeBob Squarepants. 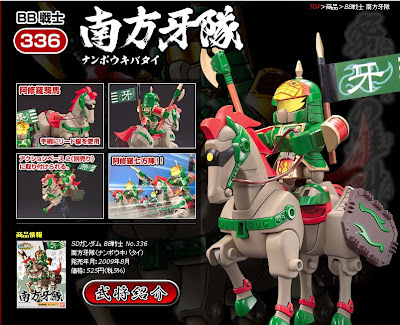 This is a huge set with 16 figures to complete the set. 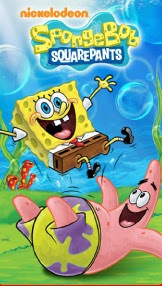 I'm sure the SpongeBob fanatics are now jumping up and down because of these toys. HEROES NEVER DIE... THEY JUST RELOAD! 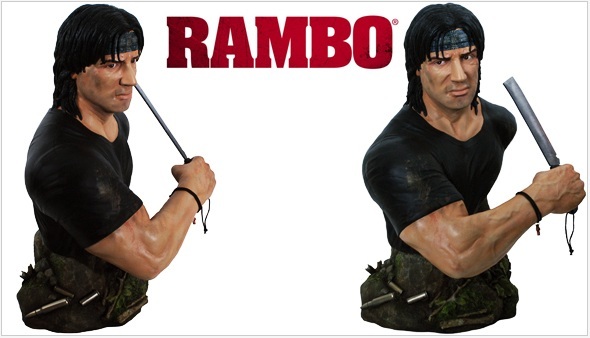 John James Rambo is amazingly designed and sculpted by Hollywood Collectibles and portrayed by actor Sylvester Stallone. The Tribal Hunter is the best around at finding lost objects. No matter what you’ve misplaced, large or small, he can find it for you. He’s tracked down the Forestman’s cap-feather (it was up a tree), the Zombie’s turkey leg (he left it on the sofa), and even the Circus Clown’s missing pet elephant (it was behind the fridge). It’s made him a pretty popular fellow, but it also means that no one is ever willing to play his favorite game of hide-and-seek with him – after all, he wins every time. The Tribal Hunter secretly loves dancing. If he hears about a dance party, he’ll be there…but he’s very shy about it, so he usually wears a disguise so no one will know it’s him. His most precious possession is his MP3 player loaded with dance tunes. No matter how good he may be at finding things, he’s always afraid of losing it! Unleashed in Detective Comics #27, and inspired by the graphic stories of the pulp fiction era, The Batman arrived nearly fully formed. 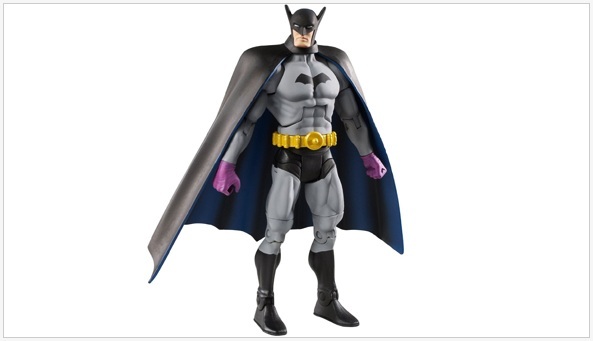 Batman is amazingly designed and sculpted by The Four Horsemen Studios. Imported from the UK! Two-Face is carrying a sub-machinegun. 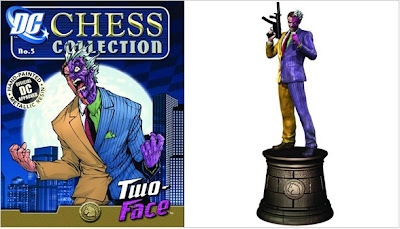 Initially Two-Face was a superficial supervillain always saddled with outlandish two-pronged crimes, but he was reassessed as a character with much greater depth and texture. The duality of his equally scarred psyche became the prevalent fixation, shifting his horrifying physical disfigurement to an almost secondary position. Two-Face is amazingly sculpted by Master Craftsmen. 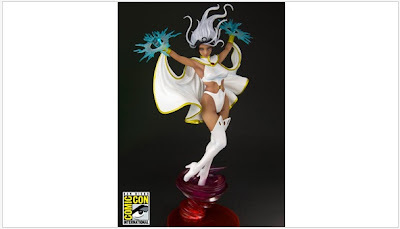 After appearing in nearly all of the X-Men movies, comic books, cartoons, and video games over the years, it's her turn to be treated to the Japanese Bishoujo style by renowned illustrator Shunya Yamashita. Storm is sculpted by Koutarou Takeuchi and strictly limited to 2000 pieces worldwide! 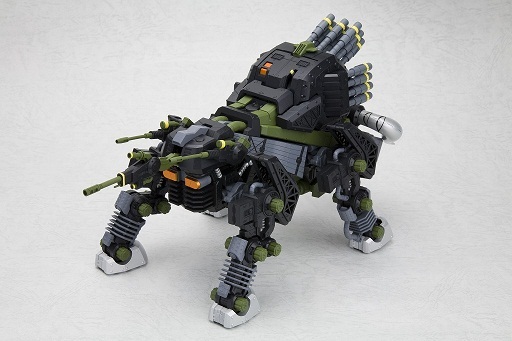 It's been a while since I posted Transformers related toys here. But this one caught my attention. 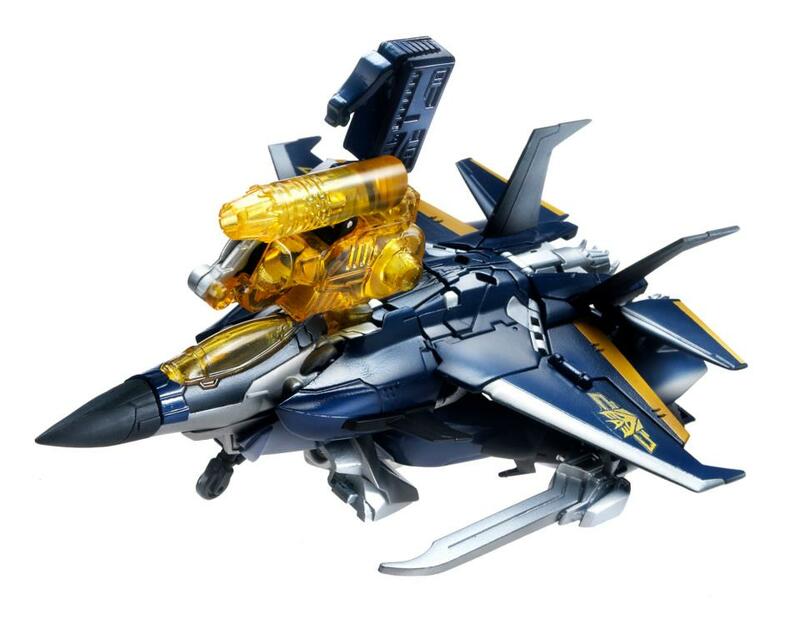 this is a voyager class Dreadwing from the Tranformers Prime series. The alternate mode is not that impressive but the robot mode, especially the head design is very appealing to me. This hero of the Old West is a master of the lucky shot. With the help of his trusty pair of six-irons, the Cowboy can hit any target at any distance, no matter how large or small. It’s a talent that he’s used to get himself out of plenty of sticky situations, and he’s happy to show it to anyone who asks for a demonstration. Though he’s a bit of a show-off, the Cowboy is impeccably honest and fair, and always raises his hat to the ladies. He enjoys a good game of cards and a campfire cook-out, especially if someone’s brought along his favorite: chocolate, marshmallows and graham crackers. He never stays for long in any town, though, because he’s always out on the trail looking for his lost horse. After all, who’s ever heard of a cowboy without a horse? Here is the full colored version of Kotobukiya HMM Dibison. Color scheme is very close to the NJR version, very militaristic. 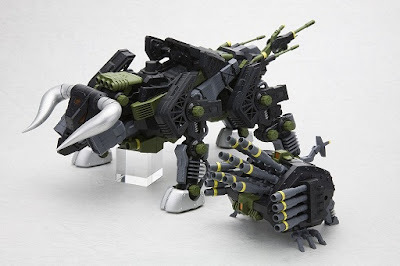 My only question is, what happened with the metal horns and hooves? 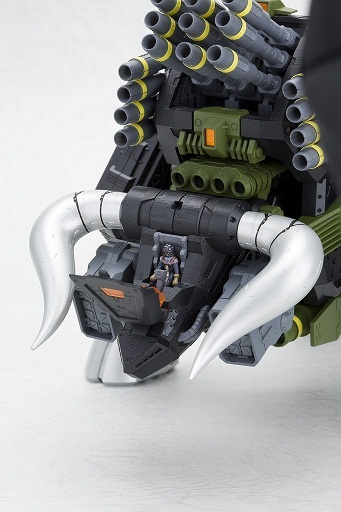 But I'm pretty much sure that it will be released as custom parts. 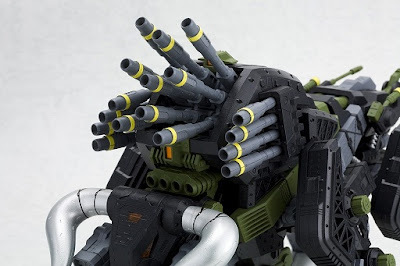 The cannons looks very devastating. When Alice tumbled through the rabbit hole into the strange world on Underland, she would never have expected to see the Mad Hatter quite like this! Mickey Mouse, as part of Medicom's new Miracle Action Figure (MAF) line, gets a mad makeover to transform him into Johnny Depp's Mad Hatter from Tim Burton's Alice in Wonderland. 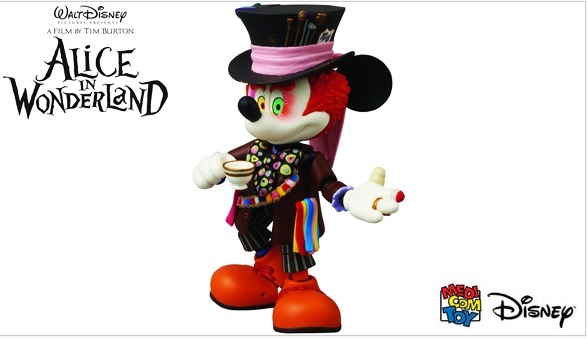 The Mad Hatter is amazingly produced and sculpted by Medicom! 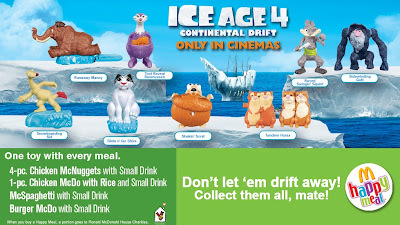 A little late in posting this, but as expected Happy Meal Philippines also have Ice Age 4 toys as the rest of the world. I already completed the set and I was a little disappointed on their size. The toys are a little to small comparing it from previous movie figures in my opinion. Finally an update from Carl's Jr. Here is their latest offering of Kids Combo featuring toys from The Pirates. Jolly Roger - Fly this pirate flag when you embark on your next adventure. Dark Waters - Add a drop of water and navigate the droplet through the maze. Telescope - Use the telescope to search out treasure and friends. Costume - Be a pirate wuth hat and two different mustaches. Here are the upcoming toys for Happy Meal US, a total of sixteen figures to collect. Imported from Japan! An android with detachable limbs, this elite fighter came onto the scene first in Tekken 6 Bloodline Rebellion. With it's thrilling martial arts action, the Tekken series of video games from Namco has been a huge hit with players since the original arcade game in 1994. 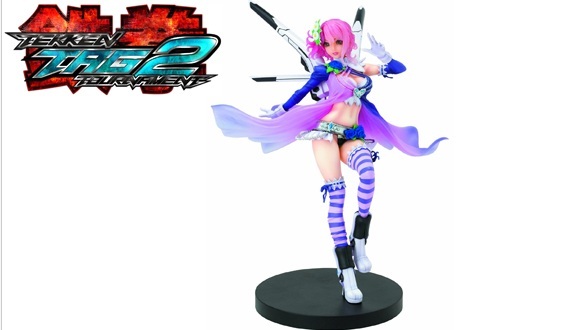 Alisa is sculpted by Busujimax (Takaboku Busujima) and amazingly voiced by Cristina Valenzuela! 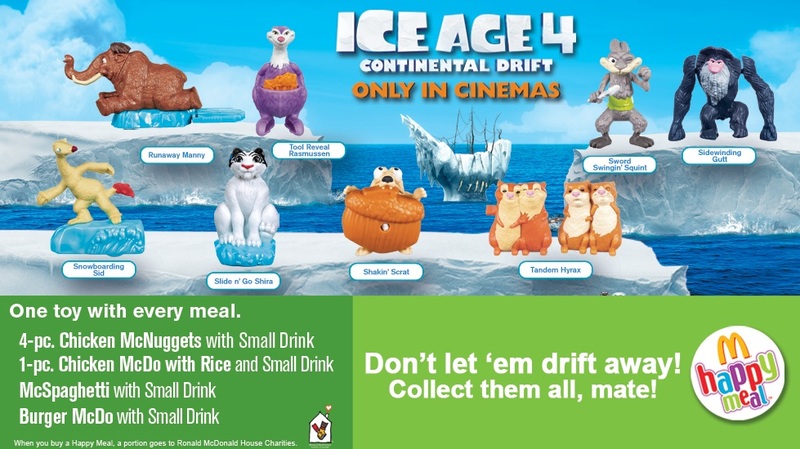 A little late on posting this Happy Meal set from the US featuring, what else, Ice Age 4 Contnental Drift. Luckily, Philippines set is different from this set. 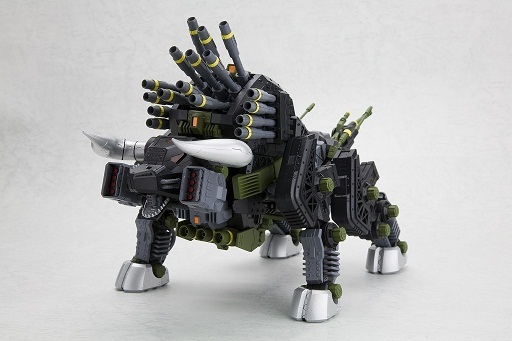 I'm not saying these toys are ugly, it's just not my type. 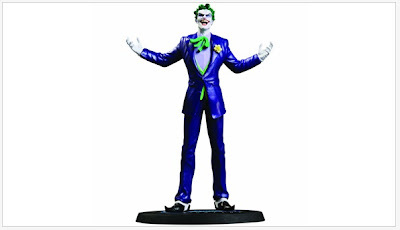 They are vinyl-like figures to me, that in a way, different from the usual Happy Meal toys. 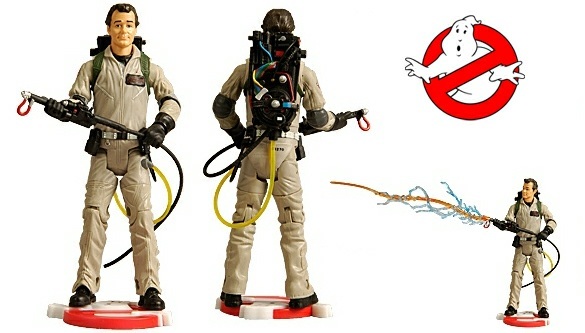 From Ivan Reitman's Ghostbusters, Peter Venkman is our Figure of the Day! Good thing this is the first and only Ghostbusters figure to come with a proton stream, you know what could happen if two streams were crossed. Fully articulated and unslimed, this highly sought-after figure holds steady against any ghoul when perched on the first-ever official Ghostbusters logo stand included. Peter Venkman is amazingly sculpted by The Four Horsemen Studios and portrayed by actor Bill Murray! 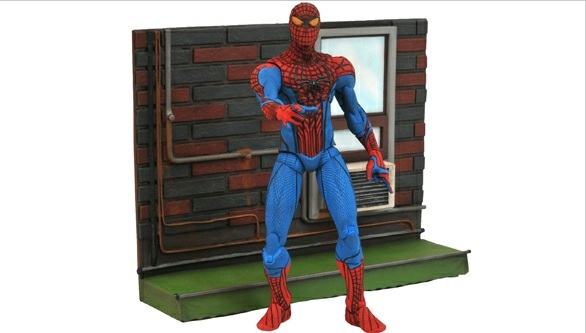 From Marc Webb's upcoming The Amazing Spider-Man and portrayed by actor Andrew Garfield, Spider-Man has taken over Figure of the Day! 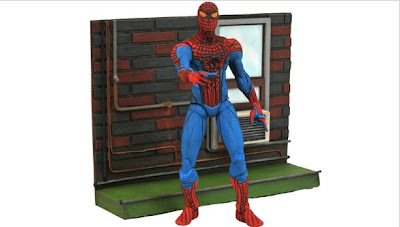 Spider-Man is amazingly designed and sculpted by Gentle Giant Studios! FROM JON M. CHU'S UPCOMING G.I. JOE RETALIATION BLOCKBUSTER MOVIE! 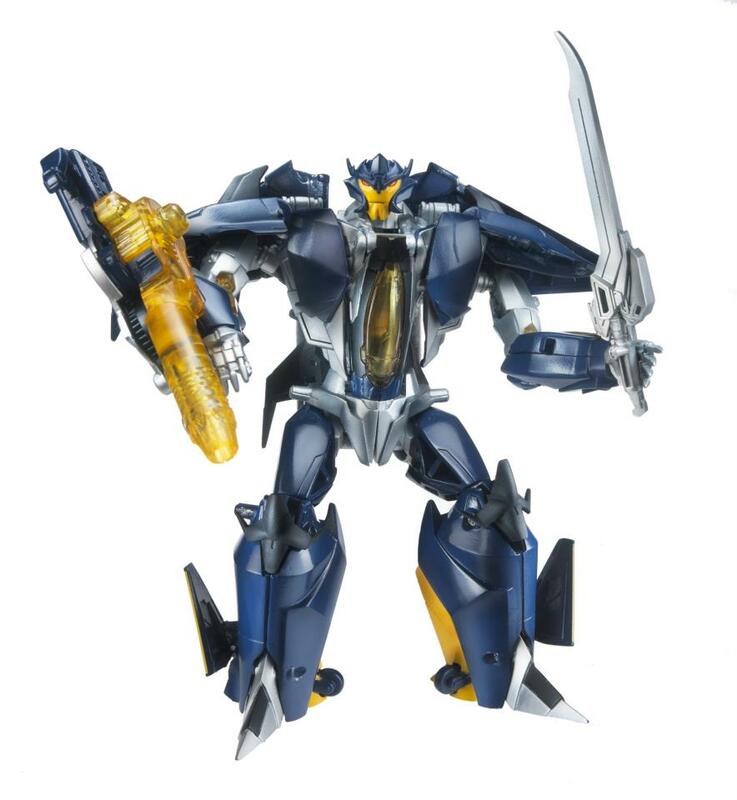 Portrayed by actors Ray Park, Dwayne Johnson, Channing Tatum, Bruce Willis and much more, SERIES 1 has taken over Figure of the Day with a MASSIVE 30% savings! 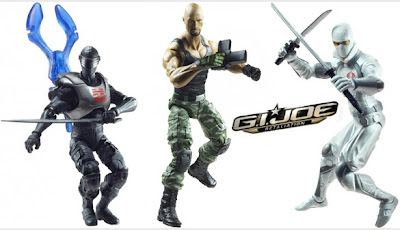 This amazing action figure set includes: Storm Shadow, Snake Eyes and Roadblock. Trash Pack finally hits Philippines soil. 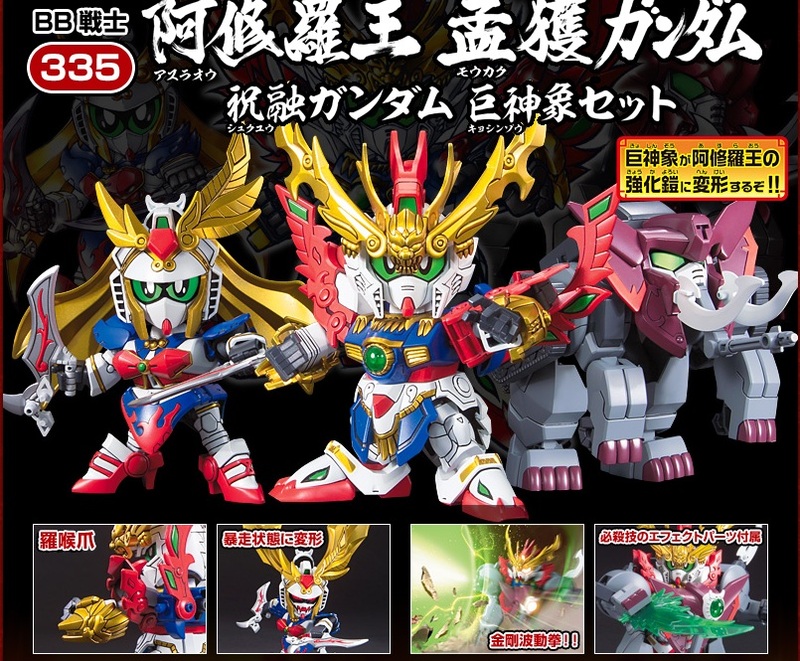 I saw these in Toy Kingdom Mall of Asia but was not able to get one yet. Will try to save up for these gross gang. 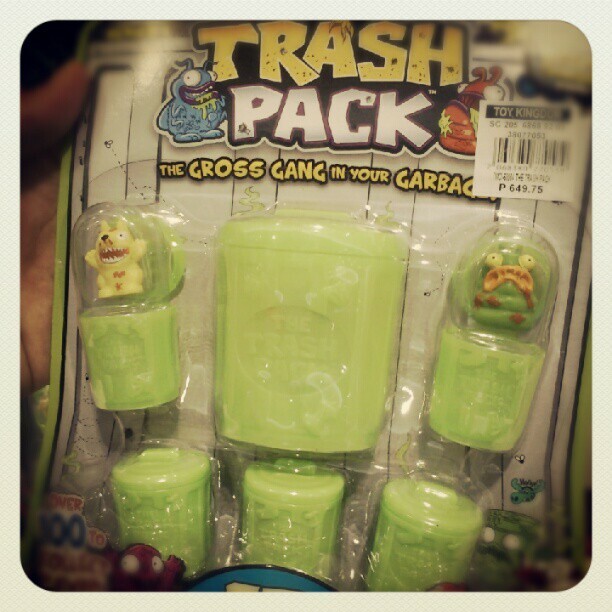 Trash Pack are little critters that comes from garbage. There are six classifications or gang for each trashies. The Grubs Team - If it's covered in mold, passed it's Use By Date and smells old - it's part of The Grubz! These are food Trashies that are far from fresh. Find them in your feral fridge, pukey pantry or unlucky lunch box! The Bin-Fections Team - They're spreading disease with ease! Bin Fections are vile viruses and nasty infections that have formed in the booger piles and mould mountains of Trash Town! The Bin-Sects Team - If it's got 6 legs (or more) and it's gooey and gross - then you've found a Bin-Sect! These creepy, crawly Trashies scurry, slither and slime their way around trash cans and putrid piles of dirt! The Bin Critters Team - They're the animals that love to pick through your trash! Bin Critters sniff around looking for the freshest trash they can get their paws or claws on. Sometimes they eat it. Sometimes they keep it. But they always love it! The Hard Rubbish Team - These are the broken bits of trash that pile up around the house. Smelly old chairs, drippy paint cans and trashed TV sets - your garage is a gold mine for these trashy treasures! The Bin Monsters Team - If you look deep into the shadows of Trash Town, you might just find a Bin Monster or two. They're the ugliest, mangled-up mutants of the junk yard with multiple eyes, tacky tentacles and fungus fangs!